This tutorial contains instructions to fix the following error in Steam: "An error occurred while installing <game name> (missing file privileges): C:\Program Files\Steam\steamapps\downloading\…"
The following issue has occurred in a Windows 7 based computer: Windows changed to the basic theme and the user cannot change the theme because, when the personalization settings are opened, all of aero themes are greyed out. The following error may be faced at Windows startup or when trying to launch a program: "The program can't start because MSVCP100.dll is missing from your computer.Try reinstalling the program to fix this problem.". 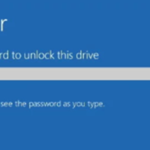 How to Disable BitLocker in Windows 10. This tutorial contains instructions o how to disable Bitlocker Protection and Drive encryption in Windows 10. As you may know, the BitLocker encryption feature which is available in Windows 10 pro and enterprise versions, can help you to protect your PC contents from unauthorized access. 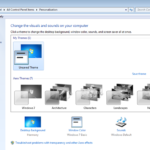 How to Remove BitLocker Protection from System Drive C: Without the BitLocker Recovery key or Password. 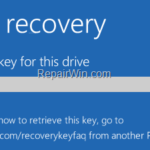 How to Disable Bitlocker in Windows Recovery Environment (WinRE). This tutorial contains instructions on how to disable the BitLocker protection and to decrypt a BitLocker encrypted drive in the Windows Recovery Environment. 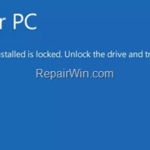 The instructions can be useful, if your computer is BitLocker-protected and doesn't accept the Bitlocker recovery key or the BitLocker password at system startup and you cannot unlock the BitLocker protected drive. How to Update Chrome Components & Google Chrome Manually.